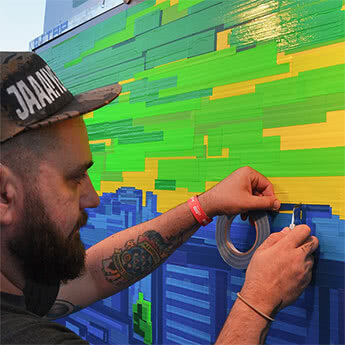 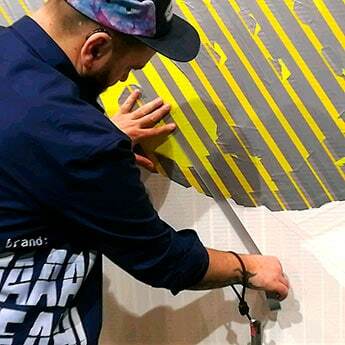 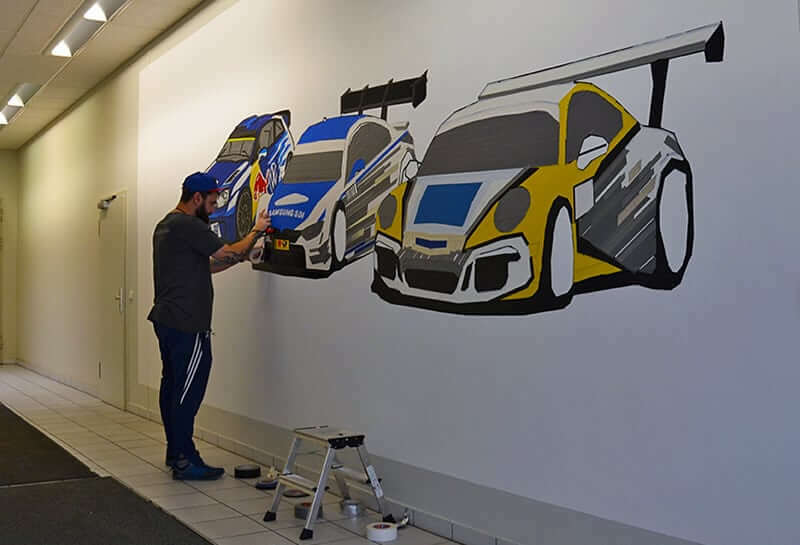 In the summer of 2016 the leading vehicle parts manufacturer ZF Race Engineering GmbH from Germany commissioned our team to create a tape-art graffiti in the factory building. 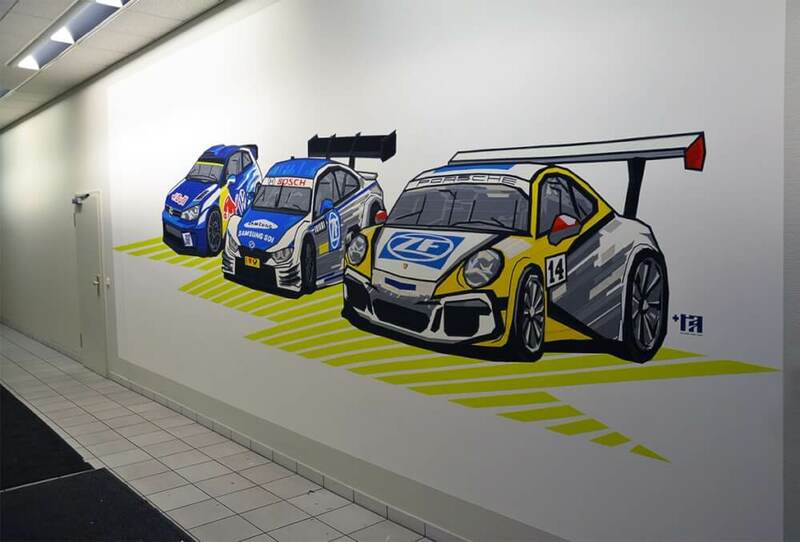 ZF’s products are used in nearly all racing sports and practically by all teams. 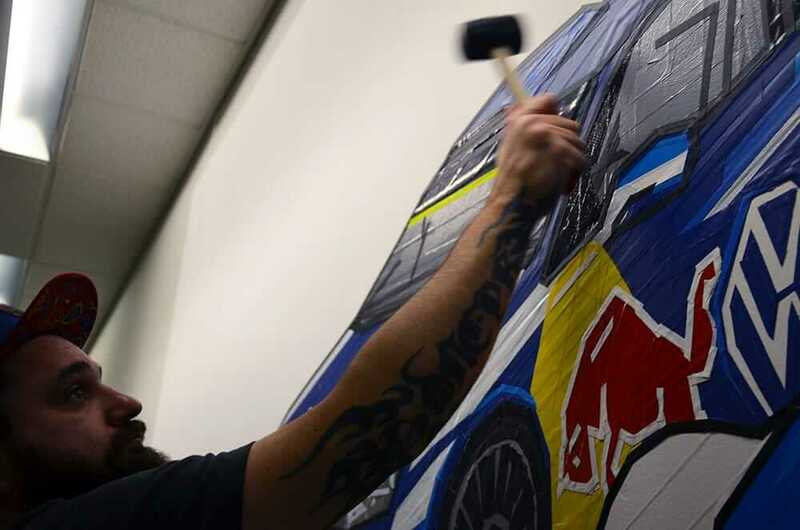 So we got to work. 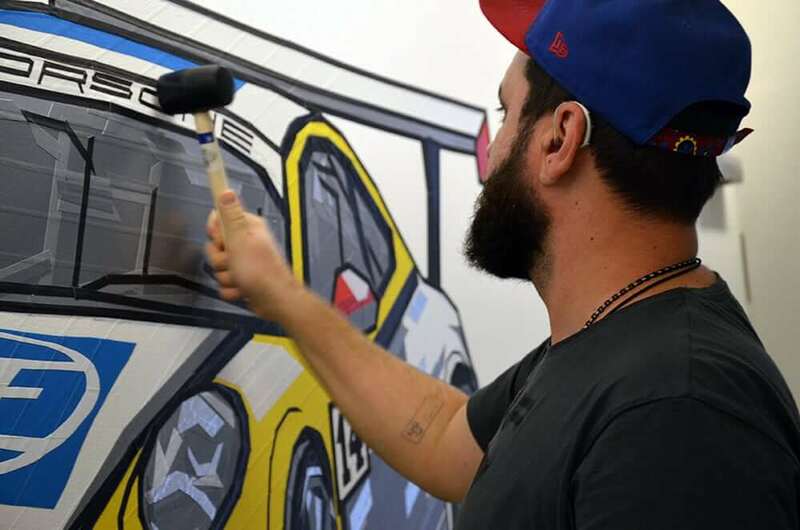 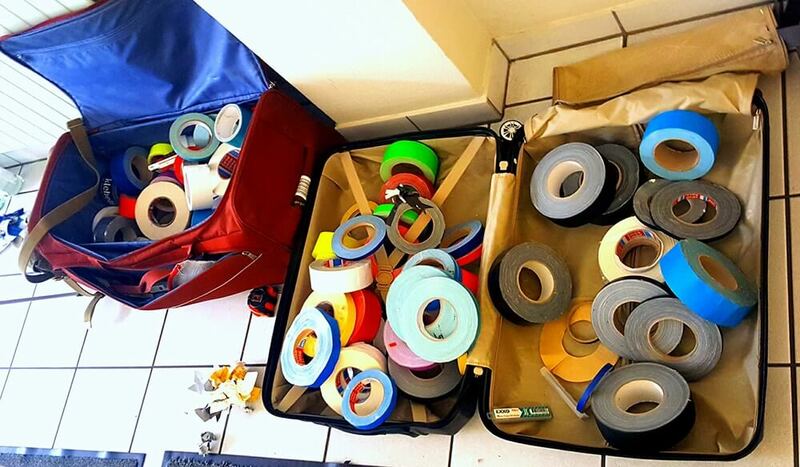 After two days of taping, the three race cars from different vehicle classes were created as duct tape graffiti on the wall. 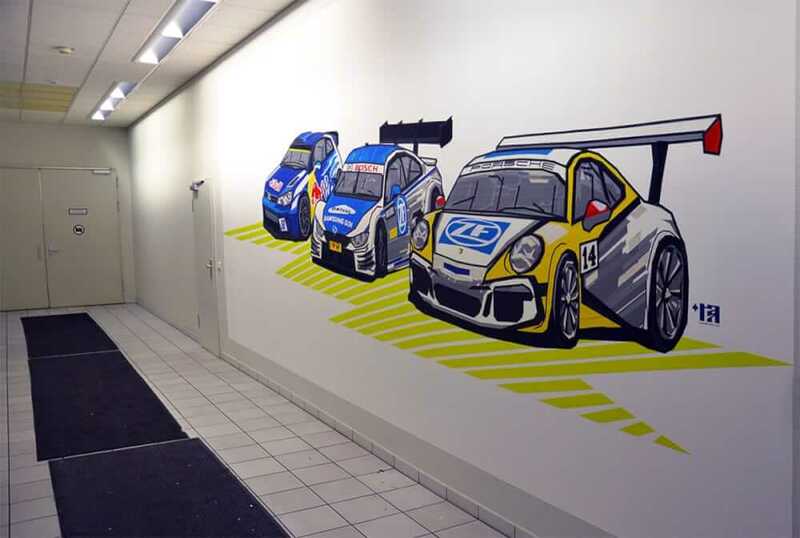 This piece of tape art by Selfmadecrew now adorns the entrance of the factory building in Schweinfurt (Bavaria-Germany).